On this date in 1900, Clive Clive came into the world. 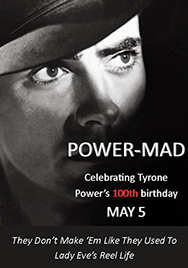 In 1937, he died alone and unhappy in an oxygen tent, succumbing to alcohol-exacerbated tuberculosis. He didn’t stay here for long, but in some ways he never left. 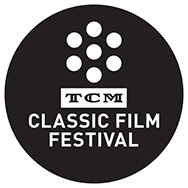 He lives in a thousand imitations of his broken-reed voice, in horror movies that he hated making, in the dormant celluloid of films not available for distribution, and in my cinephiliac obsession. He always seemed to be a bundle of nerves—even beyond the diegetic gallery of tightly-wrapped characters he played, from the alcoholic Captain Stanhope to the blasphemous Dr. Frankenstein to the traumatized Stephen Orlac. 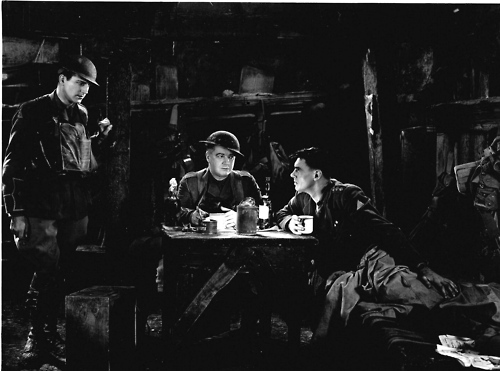 The twitchy, overblown energy of Clive’s performances, his harnessed panic, makes you somehow more aware of what the film critic Laura Mulvey has called death at 24 frames per second, the poignant passage of time as captured by the camera. This is an excerpt from a beautifully written fan letter by no less than Ayn Rand (!) 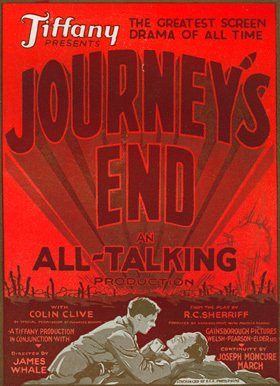 who saw Clive perform in a stage revival of Journey’s End in 1934. 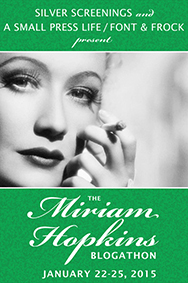 She was herself a successful playwright at the time. Clive replied that her praise meant a lot to him. I hope that he internalized some of it. Whatever anyone may think or feel about Ayn Rand, I must admit that she seized on a key aspect of Colin Clive. It’s ironic that Rand, who championed iron wills and inner strength, should have so admired a man whose weaknesses and insecurities destroyed him. And yet, Clive was not just a downward spiral, but an aspiration towards something higher. All of his performances have a grace and beauty to them, as if even the most loathsome characters could have been better people—should have been, but were cut off by some cruel twist of fate. When Clive’s Dr. Frankenstein delivers his speech about clouds and stars and eternity, he becomes my personal definition of the heroic in mankind. In this case, I know exactly what Rand was on about. Some actors have fans, and that’s just fine. Colin Clive has a cult. I wonder what he would have thought of us, the endless Googlers of his image, holding vigil over his memory. I’m not entirely sure that he would have been pleased. He may well have been a trifle freaked out. 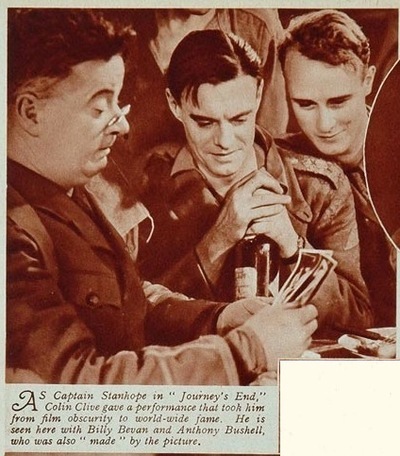 But I would like to remember him on his 113th birthday with a few words about his first film, in which he recreated his signature stage role: Captain Stanhope, a part he seemed born to play. 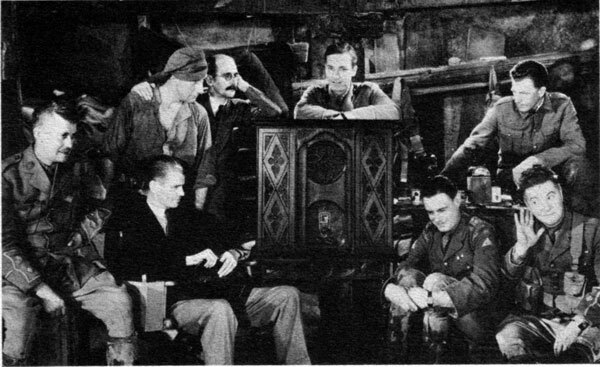 The cast of Journey’s End and James Whale listen to the radio on the set. 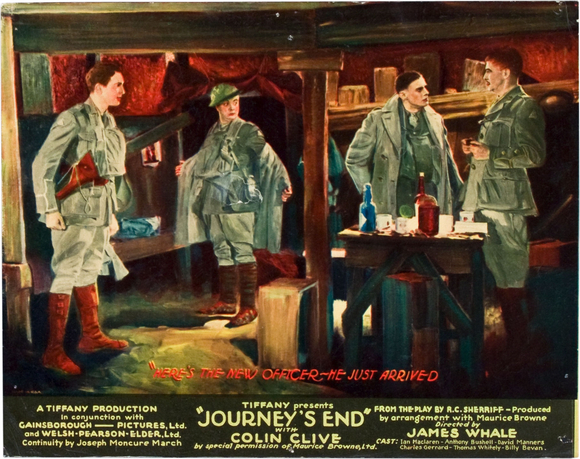 Directed by James Whale, Journey’s End reminds me a lot of Das Boot: quite long, claustrophobic, and character-driven. After two hours, confined almost entirely to the trench set, we feel as though we’re really in there with these damned, laughing fellows. We come recognize and cherish their foibles and mannerisms through the intimacy of the camera. 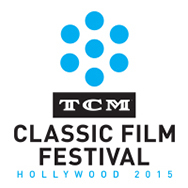 I must confess, though, the first time I saw this, I found myself disappointed by how terribly uncinematic it seems. Then again, overwhelmingly stationary shots are par for the course in an early talkie. Whale matter-of-factly plunks us down in the trench and lets most of the action unfold in medium long shots, with the occasional significant close-up—a yucky blancmange, a box of candles, hands opening a letter. Apart from the striking chiaroscuros of a few bombardment scenes and some muddy tracking shots, we get little sense of the innovating flair James Whale clearly had for making horror jump off the screen. However, trench warfare isn’t cinematic, is it? It’s not a sweeping crane shot. It’s not lyrical in the least. It’s creaky, stale, and soggy. Journey’s End manages to convey these qualities aptly, while still mobilizing the force of our bond with the characters to hold our attention. By about ten minutes in, we like these unfortunate chaps. We wonder which ones of them are going to die. We hope that the causalities will be minimal. The cast works remarkably well together. David Manners, in particular, will surprise you if you’ve only seen him play juvenile romantic leads. 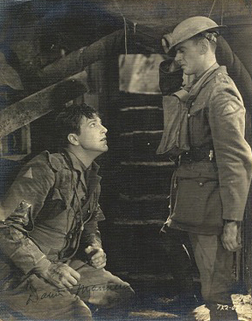 As Raleigh, he transforms from the fresh-cheeked schoolboy soldier into a mortified, disillusioned young man. Returning from a raid in which most of the men died, Raleigh collapses onto a bed; Whale gives us a close-up of Manners who really did pull out all the stops. He looks shattered, hollow-eyed, sweaty, and broken—a far cry from his wooden pretty boy reputation. Whale does occasionally oblige us with moments of conspicuous filmic brilliance. For instance, at the very end, when the cowardly Hibbert hesitates to join the front line, we get a shot of the doorway to the top of the trench, where a body is being carried past on a stretcher in silhouette. It borders on allegory: the doorway to death. The image shifts towards abstraction, like the famous reaper shots in Dreyer’s Vampyr. A WWI veteran himself, Whale knew how to reduce trench warfare to a bare, razor-sharp grisaille. This touch foreshadows the morbid, metaphysical resonance of Frankenstein. 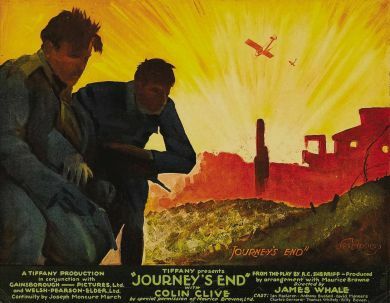 Just as Frankenstein begins before it starts with the sounds of weeping that precede the opening images of the funeral, the deep, booming bass of exploding shells begins over the credits of Journey’s End—and keeps banging away through the film until the audience’s nerves have gone to pieces, too. Pretty astute use of sound for 1930. Returning to our leading man, Clive became Stanhope. Or perhaps Stanhope became Clive. One can understand why Whale insisted that Clive be imported from England immediately, as no other actor would do. This was rather unusual, that a stage actor unseasoned by cinema experience be brought thousands of miles for a single part only. Well, from the moment Clive enters the dugout set—his face half-hidden from the camera by his metal helmet, brushing briskly by, trying to drop his knapsack on his bunk, then pulling the strap off where he caught it on his shoulder with a weary tug—his every movement rings utterly true. We never feel that he’s playing for the camera, which I consider a small miracle, since he had never acted for one before. Drunk parts are notoriously hard and perhaps Clive wasn’t faking drunk. Whatever Clive’s consumption of whisky was during production, though, Stanhope’s state of inebriation varies through so many shadings of prickly, dreamy, and cheerily garrulous that we’re watching a person shot through a prism—all the emotions that usually coexist in diluted form come through in vivid contrast. He portrays a man fractured and fragmented into pieces, pieces that some central, guiding insight is trying like mad to hold together. The thing that nurtures Stanhope, his perspicacity, his ability to understand the point of staying strong in the midst of pointlessness, is also the thing that makes him need to numb himself out with alcohol. Like a plant which, when its growth upwards is blocked off, twists around but keeps on growing, Stanhope’s passion for life has been stunted by war into the desire to die like a man—the only option left. 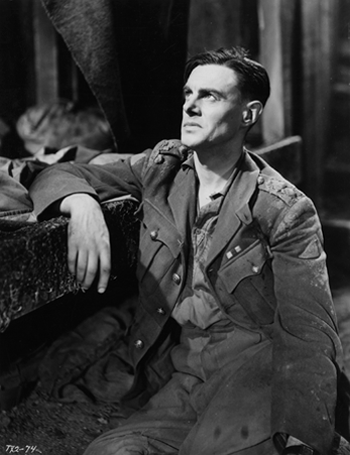 Part child and part old soul, Clive’s Stanhope shines with the feverish glow of the actor’s own incandescent torment. I consider Stanhope the flip side of Clive’s Frankenstein. Both are individuals attuned to some higher significance. Stanhope delivers a marvelous speech about giddy stars and mortality that almost certainly inspired the famous monologue from Frankenstein (which was not in the shooting script, incidentally). We recognize in Stanhope, as in Frankenstein, a brutal hubris that holds everyone to a high standard—but himself to an almost impossible standard. Perhaps most importantly, Whale shows both men (Stanhope and Frankenstein) to be rather childlike. Remember how Frankenstein, seeing Elizabeth, takes a few steps and collapses in his laboratory when his father comes for him? That moment echoes a scene in Journey’s End when, consumed by worries and heavily inebriated, Stanhope falls into his bunk and partially out of frame. 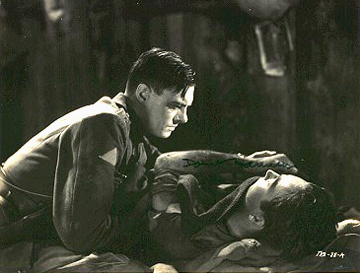 His head and shoulders are off-screen as the fatherly Sergeant Osborne puts a blanket on him. It’s as if he disappeared for a moment, regressed into a place where he’s no longer trapped in the trenches, but he then calls pathetically, “Tuck me up!” In both films, Whale and Clive deliver moving depictions of men returning to helpless boyhood on the brink of exhaustion. In one of the most moving scenes of the film, Osborne reads a letter from Raleigh, who happens to be the brother of Stanhope’s fiancée. 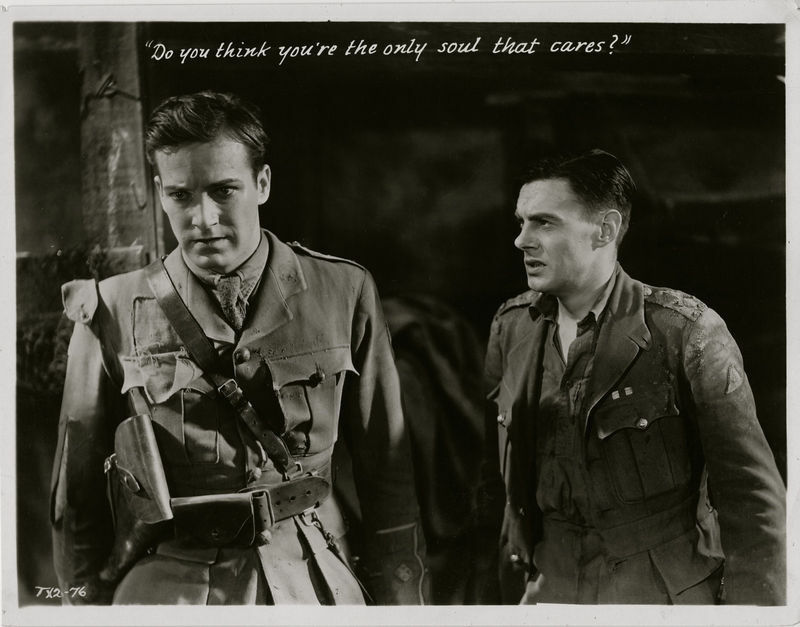 Stanhope fears that Raleigh will unmask him as a drunkard and ruin his reputation with the girl he loves, but instead, as Osborne reads the letter, Stanhope hears nothing but kind words for his spirit and leadership. The play of emotions on Clive’s face is, as usual, extraordinary. We spot relief, yes, but also anguish, sadness, an attempt to gather his courage, as though he were facing down German machine guns. I have to commend Clive on this unique interpretation, but a very genuine one, as I believe that praise is the most humbling thing in this world. Praise frightens Stanhope more than criticism, because being a fine fellow is an ideal he has to live up to. Heroism is his curse. “It took me ten years to learn my job on the provincial stage—of course, I’m still learning now; but I’m afraid it will take me a lot longer to learn anything really worthwhile about films. The technical side is so interesting, and if ever I do master this part of making pictures I would like to produce pictures and give up acting altogether. I think that praise frightened this self-deprecating man as much as it scared Stanhope. Well, that’s too bad. I want to praise how he ruffles a dying friend’s hair, while looking away from the body in horror. I want to praise how disobligingly nasty and snappish he acts at times in the film, yet still makes us care for him. I want to praise him for “the little bit of beauty” he bequeathed to us with his performance. Watch Journey’s End and I think you will too. Graham Greene—yes, one of the greatest and most enjoyable writers of the 20th century—spent a good bit of the 1930s writing about movies. And he was the kind of critic who makes me feel unworthy to be a self-appointed critic. His keen powers of observation and unflaggingly sharp ability to zero in on flaws, foibles, and mannerisms could reduce even the most egotistical of entertainment personalities into shuddering piles of fearfulness and remorse. Greene possessed an innate Geiger counter for pretense and commercial tripe. Nothing hindered him from laying into his cinematic victims with a withering British politeness and eloquence. Phew! We can all heave a sigh of relief. Foremost among Greene’s reasons for liking the film, he points out that The Black Room affords Karloff a role not as an inarticulate monster, but as both a monstrous, yet pithy human being and a good guy. We get a richer sense of his range. As much as that last rhetorical question provokes the 1930s equivalent of an LOL, I’m going to have to take issue with you, Graham Greene. (Please don’t haunt me! Wait… actually, please do.) Karloff can communicate an extraordinary amount through grunts and jerky motions. Nevertheless, I agree that ‘tis a treat indeed to watch Karloff swing into full-on Richard III mode with his wily, sardonic delivery of Baron Gregor’s lines. I also appreciate the louche physicality which Karloff explores in the part of a libertine, always lounging in a chair kicked back against a wall, his leg swung over the arm of the chair. I am now going to critique this critique. Those of you with faint hearts may leave. 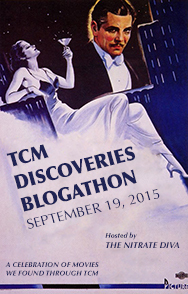 Dead men don’t blog back, so I want to clarify that I am in no way deriding Graham Greene. Let’s face it, though, his review does place a major limitation on horror, a limitation which runs the risk of oversimplifying the genre. He’s implying that horror should necessarily be Gothic in tone. At least, it seems that he’s taking a shot at Whale for abandoning the Gothic aesthetic. By contrast, Greene praises Neill and his “good” direction for remaining faithful to the literary tradition of Radcliffe and Lewis. His whole standard of evaluation hinges on a film’s relationship to a specific heritage of terror. I don’t think it should be that simple. 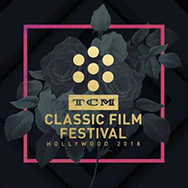 Indeed, I advise you not to read Greene’s review of Bride of Frankenstein if you happen to be squeamish or if you, like me, simply love that movie—the write-up is about as dismissive as Greene gets. He didn’t appreciate any of the camp elements, Whale’s “devil’s advocate” brand of empathy, or the piquant, looming bizarreness which Whale infused into talkie horror. Instead, the budding novelist kept hammering on the fact that the Bride just wasn’t scary in the Gothic sense, when, frankly, I doubt that it was meant to be. I differ from Greene, because I can’t believe the aesthetics of horror are that clear-cut. Gothic—good. Departure from Gothic—bad. Now, I would argue that good horror may borrow elements from the Gothic, but it doesn’t need to. And, yet. Always this “and yet…” haunts me, like the specter of a murdered brother! I have to admit that Greene does make a strong case for the validity of the Gothic mentality as the core of pleasurable horror flicks. Just to be clear, for me, Gothic atmosphere and style revolves around contrivances, like curses, unspeakable secrets, and twin brothers. The esthetic also requires a certain benighted, costume-y feel which Greene beautifully conjures in the quoted description above. Finally, I would argue that this type of horror is joined to a psychological primitivism, a lack of obvious self-consciousness. If a man starts hitting on you in a graveyard, you may be in a Gothic novel. Gothic horror relies upon the ghastly for its thrills: churchyards, stabbings, murderous brigands, hidden deformities, and gruesome ironies. One of my favorite such moments in The Black Room (spoiler alert!) has Baron Gregor assume the bearing and manners of the brother he’s just killed while examining himself in the reflective onyx walls of the titular secret chamber. There’s also something about the Gothic that reminds me of Newton’s Third Law of Motion. Much of the fun of this genre literature (and Jacobean revenge tragedies, for that matter) derives from some kind of prediction, equation, or vow that ends up getting fulfilled, rather creepily and often with a slight plot twist, in the end. As it does in The Black Room, the conclusion of which I won’t disclose, but which you’ll understand if you’ve seen it. “I begin as I end.” The family coat-of-arms and curse. Another strength of Gothic horror as a genre resides in what I would describe as a lack of psychologizing. In place of tiresomely nuanced self-doubt, we relish heavy generalizations like Lust, Sin, and Innocence that dwell in the realm of the 18th and early 19th centuries. 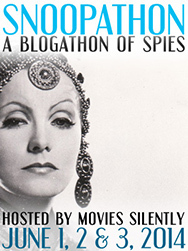 Like Walpole’s The Castle of Otranto and Radcliffe’s The Mysteries of Udolpho, The Black Room eschews the cumbersome self-analysis that we do get in more “modern” horror flicks, including some good ones, like the 1932 Dr. Jekyll and Mr. Hyde or Cat People. That’s not to say that The Black Room lacks elements that lend themselves to psychological analysis, or to interpretation in general. Take the film’s use of mirrors as a means of suggesting moral doubling and division. Then there’s the fact that Anton and Gregor came from the same womb and are destined to end up in the same oubliette. 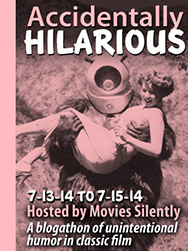 But still, you could plausibly watch this movie and get no sense of anything deeper than a fine little chiller. 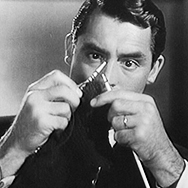 It’s entertainment in a rather pure, uncomplicated form, which is something that Greene and I both like and applaud. 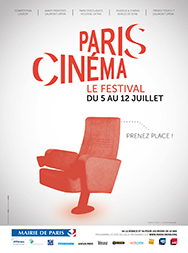 As someone who’s spent a lot of time studying film, I am refreshed by a film that doesn’t really want you to study or over-intellectualize it. I suspect that Greene disliked Whale’s movies because he found them too up-front and pretentious in their attempts at exploring the ambitious themes of life, death, and man-as-God. No doubt, The Black Room deserves a place in the pantheon of classic horror, with its smooth, sinister tracking shots and pitch-perfect screen adaptation of Gothic tropes. The film does revive a whole literary era of wedding feasts cut short and specters of guilt and evil returning—without the self-conscious fear of Freud poking at them with his cigar. But, and here’s where I diverge, The Black Room, despite its stylish qualities, does not herald a new era for horror as a genre, like the 1931 Frankenstein did with its jump cuts, its jarring use of sound, and its masterfully askew cinematography—askew to the point of abstraction at times. It surprises me that Greene, as a man who devoted so much of his time to pondering the fate of man’s soul in the face of modernity, did not appreciate the cruel, nervous, decidedly un-Gothic edge that Whale’s work adds to horror as a genre. The “genuine Gothic note”: a menaced maiden. Brave new word: man menaced… by his own creation. The Black Room is a brilliant relic, though. I cherish it as such, and I strongly recommend that you watch it. So, apparently, did Graham Greene. Following a pretty intense chase sequence, this pause in the action, almost like a fermata, really sticks in your memory—or at least mine. Karloff, for his part, communicates a rising rage against the only person whom he can hold responsible for putting him into this situation of pain and chaos. For once, Clive’s character isn’t a ball of nerves. He really looks at what he’s made, as though he’s seeing it for the first time. I also think that I detect a certain amount of perverse pride in Henry Frankenstein’s eyes. Remember that scene where Waldeman and Frankenstein double-team the monster, trapping him while trying to administer a sedative? Well, now the tables are turned… Henry’s trying to get away from his monster and his creature clearly has the brain capacity to trap him. One can sense just a little undercurrent of ironic accomplishment. Not only has Clive’s Frankenstein made a man, but a man who can hold his own with his maker. Frankenstein’s monster shows the capacity to learn and get the upper hand. He thus becomes his master’s greatest achievement and his greatest nightmare. There’s also an odd “tag you’re it!” aspect of this scene. How many comedies give us this kind of scenario, with two characters faking each other out as they run around a desk or something? It’s a child’s game, really, and both Frankenstein and his creation are like children, causing harm and acting willfully without fully comprehending the ramifications of their actions. 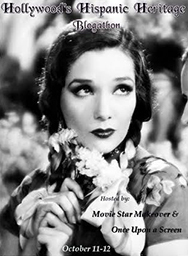 To put a revolving series of bars between the camera and the character also adds a visual flamboyance to the stare-down and draws the viewer in with hypnotic movement. The cyclical motion is like a model or a concretization of the reciprocal gaze. With sound and image working in conjunction, the creaky, yet steady rhythm of the turning mill wheel both grounds the scene in a set pace and makes it uneasy, unsteady, in motion. Now, this turning wheel separating the creator and the creation suggests a perpetual tension and, at least to me, suggests the idea of the monster and maker inscribed in a dialectic relationship. What an angle! Stunning visual means of conveying the collision-of-universes aspect of this death struggle. It’s a perpetual cycle of conflict, upheaval… and conflict again. It goes ’round and ’round. After all, why else do we, in English, say revolution for both upheaval and turning? The mill wheel, interposing between the camera and the faces of the Frankenstein and his monster, drive home this tension of seeing oneself in the other and of trying to extricate oneself from that other. Creator and creation can’t really be separated though—they are mutually defined. The wheel connects them to each other on this visual level and allows us to feel this ineffable link, this potent, mythic moment of the pair tragically recognizing themselves in each other and recognizing that they recognize it. On another, perhaps more obvious, level, the decision to set the conclusion of the film in a windmill also recalls Don Quixote. After all, the mad Don tilts at the most famous windmill in Western Civilization, because he believes it to be a monster. Robert Florey, who wrote the script for Frankenstein, added the windmill. It doesn’t appear in Mary Shelley’s novel, and, although the initially scripted scenes were heavily reedited, Whale clearly made the decision to make the gears of the building quite prominent. Now, I would certainly apply the adjective “quixotic” to Dr. Frankenstein and to his quest. 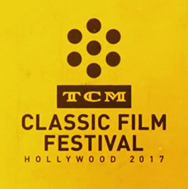 In his character, the romantic and scientific traditions intersect to form an impractical genius who makes things he can’t cope with. Highs and lows: extreme angles emphasize the fragility and volatility of Frankenstein’s genius. This turning windmill also makes us as viewers aware of a churning, orderly edifice in which Frankenstein and his beast suddenly find themselves. Now, I’m dancing on the jagged edge of symbolism here, but the mill creates the feeling that the movie is now inside a working, mechanical system. Indeed, as the bars of the mill wheel pass between the camera and their faces, this interposing object recalls the zoetrope—one of the first pre-cinema moving image devices which gave the appearance of life by parading a series of images through a tiny peep-hole slot. Now, what does Dr. Frankenstein want most of all? He craves to know how things work, what mechanisms of nature rule the world. The windmill reminds me of the suite of laws that hold together the universe—and continue to do so, in spite of whatever strange dreams man might dream. Frankenstein and his monster, however, both become heroic because they have the guts to stare into that mechanism: Frankenstein by choice, his creation by way of the calamitous existence that was thrust upon him. Their exceptional destinies are intertwined and the movement of the wheel seems to knit them together—as doubles, as a dialectical pair, as two individuals who madness and bad luck has rendered aware, whether rationally or intuitively, of the forces that govern the world and which, when tampered with, grind a human being to despair. For me, the beauty of Frankenstein resides in the morbid, yet poetic way the film doesn’t just portray modernity, but also practices it. For instance, in true Gothic novels, one prototype being Ann Radcliffe’s celebrated Mysteries of Udolpho, any time a skull or skeleton pops up, we’re dealing with a key plot point or shock-value moment… and you have to wait for about 200 or so more pages for another one. James Whale, on the other hand, constantly throws this kind of memento mori imagery at us. Even Dr. Waldeman, who presents himself as the healthy scientist, in contrast to Clive’s obsessive one, keeps a line of skulls on the back shelf of his study. Or, consider the classroom scene preceding the brain theft, which opens with this droll, direct shot of a dead man’s feet. There’s a very similar shot in Murnau’s Faust, with the feet of plague victim appearing disproportionally large in the foreground, but the effect achieves a grimmer tone there. The cadaver in Frankenstein possesses a good deal less dignity. He’s just served as a visual aid to a bunch of med students, and his feet poke humorously right into the camera, into the spectator’s face as it were. These med students even start to chuckle when, nudged by the gurney, an anatomical skeleton, suspended from the ceiling, bobs up and down. Whale depicts a world at least partially desensitized to the horror of death. In place of the dreadful, foreboding atmosphere of Browning’s Dracula, Whale gives us a bizarre mixture of irreverence and fear. Frankenstein shows us a world in which death is not the master, but the servant. Death is the thing that we’ve learned to chuckle at and demean—even as we cower before it. Like all great works of art, Whale’s Frankenstein doesn’t allow a viewer to pin it down with a single meaning. The monster and his maker both win over our sympathy—and even the torch-wielding villagers do, too! But, for me, the crux of the drama occurs at that moment when the creature and his maker face off with a searing reciprocal gaze, separated by that marvelously evocative wheel that seems to both separate them and unite them. This visually stunning, revolving flourish elevates what could be a stagey, old-fashioned finale into a truly modern metaphor for the gears of the universe, for the mechanical man… and perhaps for that ultimate in life-creating edifices—the cinema?